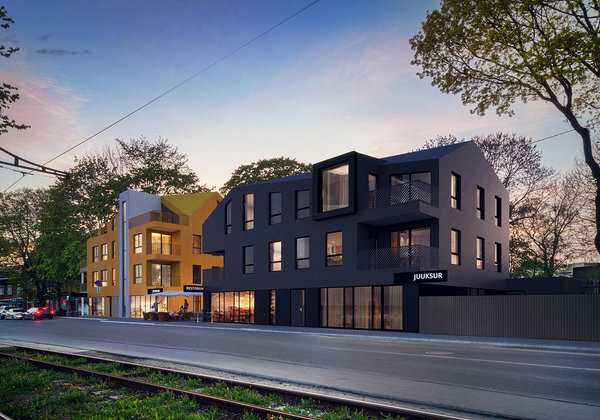 KMG started last month construction of new apartment building with commercial premises. New building is modern and fits into Kalamaja area because the special shape and appearance. Construction will be finished autumn/winter 2017.